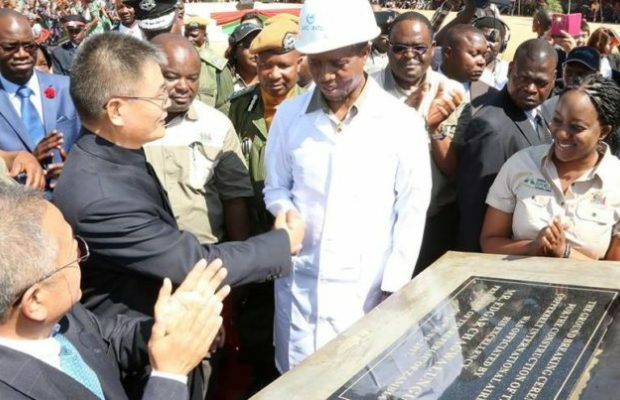 Avic International, the Chinese company at the centre of corruption in Zambia has just been single sourced to construct 2430 government houses in Kabwe. The company that has dominated construction business in the country by bribing government officials including president Edgar Lungu will construct the houses for government security wings under the Ministry of Home Affairs. The contract sum is said to be US300 million. Avic International directors walk in and out of State House at will and it is one of the many Chinese government companies at the centre of corruption in Zambia. A check by the Zambian Watchdog found workers erecting a temporary barrier on the site is just near to Gonde Lodge along the Kabwe Kapiri road.